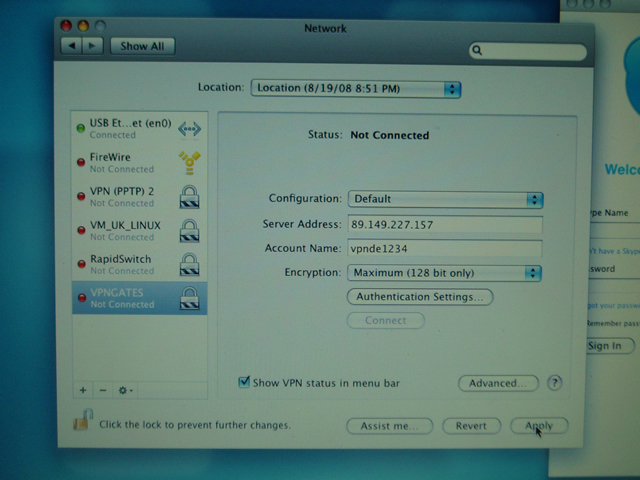 How to configure a PPTP / L2TP IPSec VPN connection Using Windows Windows 7? 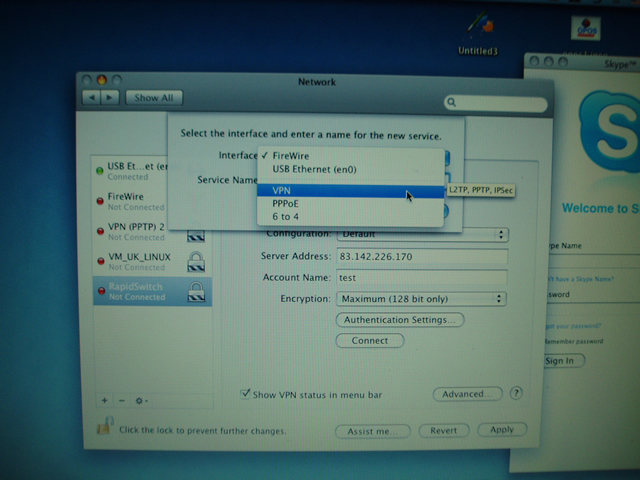 In this article we will learn how to configure a connection to a virtual private network (VPN) using Mac OS X 10.5.X. 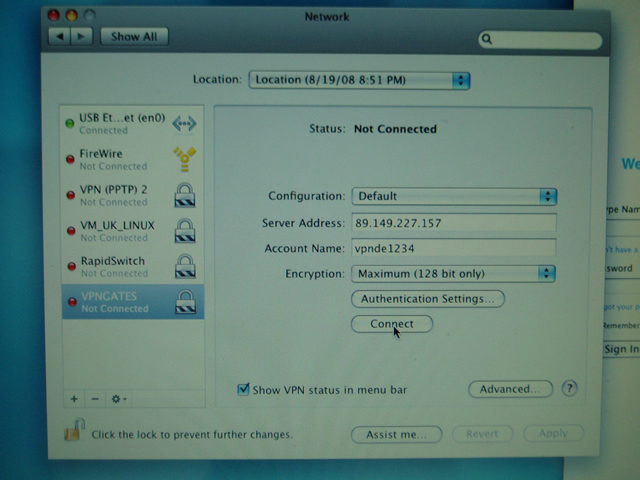 This article will show you how to create a new VPN connection using Mac OS X 10.5.X. By creating an encryption tunnel through the Internet, data can be passed safely. 5. 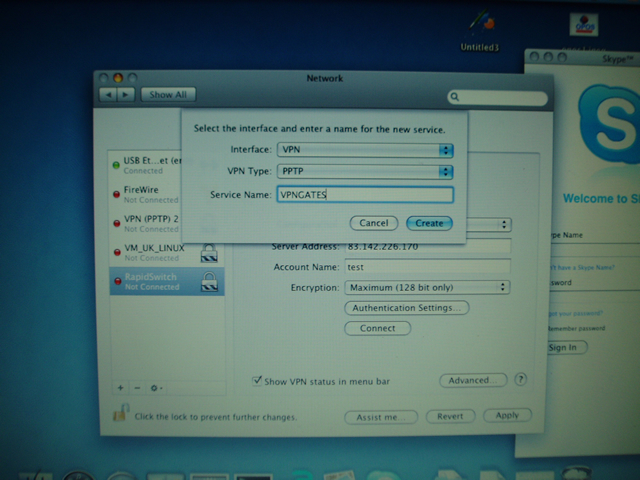 Select "PPTP" for VPN Type and Type some words in text box of Service Name, then click button "Create"
6. Enter Server address, Account Name that we send you in e-mail, Choose Maximum (128 bit only) for Encryption option, then click button "Authentication Settings" and enter your vpn account password, and click button "OK". 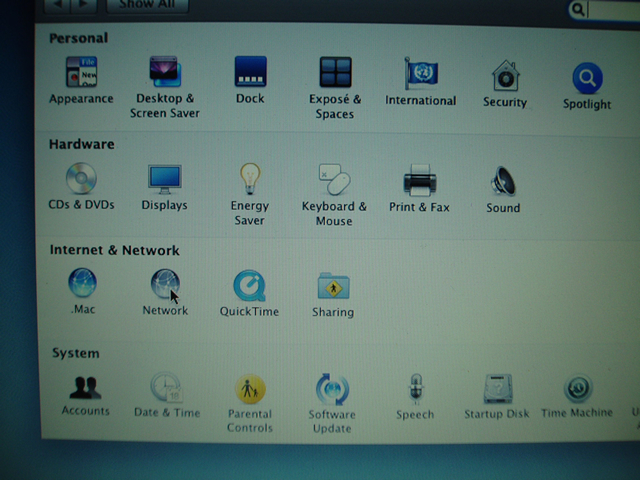 Then click button "Advanced"
7. 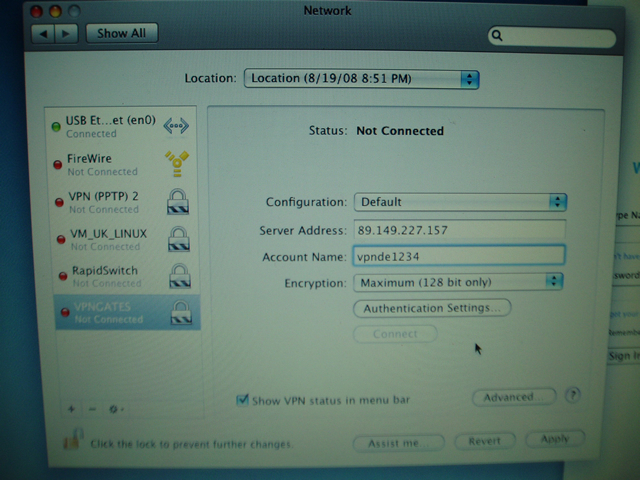 Click checkbox "Send all traffic over VPN connection", then click button "OK"
8. 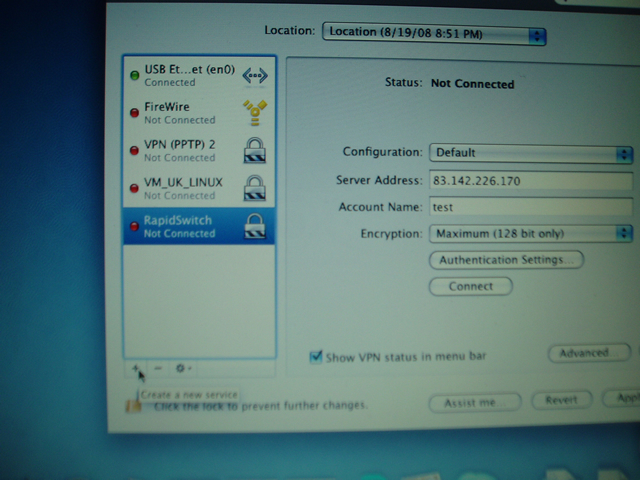 Click button "Apply" to save your vpn setting. 9. 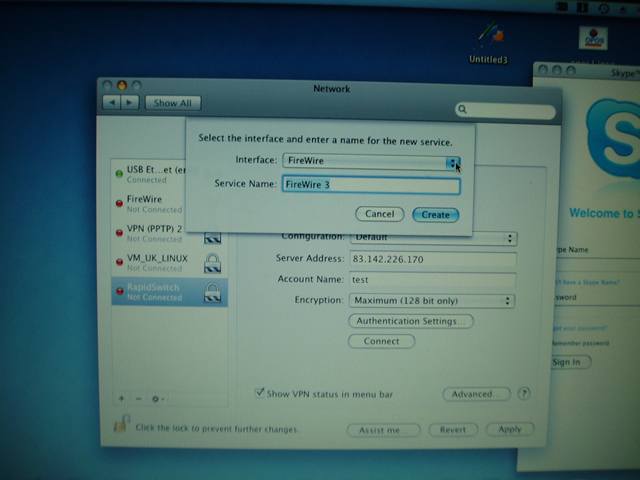 Then click button "Connect" to connect to our VPN server. 10. 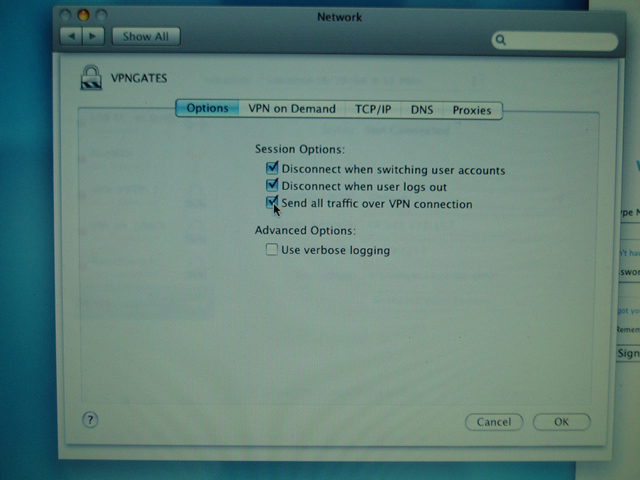 You can click button "Disconnect" at any time when you want to disconnect from our vpn server.